Marnus Schoeman. Photo Andre MeintjesThe Steval Pumas would like to announce the temporary departure of Marnus Schoeman, as the talented loose forward decides to take an opportunity to play Super Rugby for the Stormers on a loan agreement. Schoeman (28) has been an integral part of the Steval Pumas squad since his debut at the start of the 2015 season, having scored 16 tries in 29 appearances for the Mpumalanga side. The flanker was unlucky to have missed selection in 2016 due to injury concerns. He is still contracted with the Steval Pumas and is scheduled to make his return on 1 June after his loan spell with the Stormers. “We will obviously miss Marnus as he is an exceptional player who has been of great value to our side. 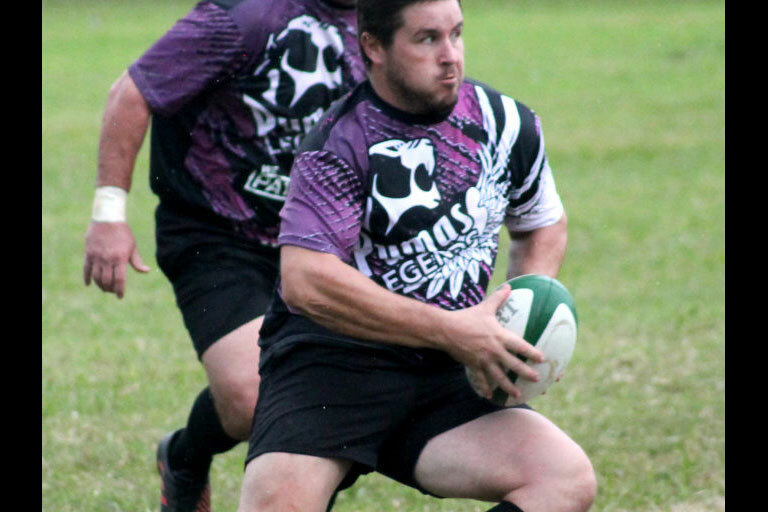 The union invested heavily in his rugby development and he continues to play an integral part of our plans for the future: we look forward to welcoming him back into the squad,” said Mpumalanga Rugby CEO Pieter Burger. “For now, however, we want to wish him every success for this opportunity to play for the Stormers. We are excited to see the contribution he can make on the Super Rugby stage,” said Burger. 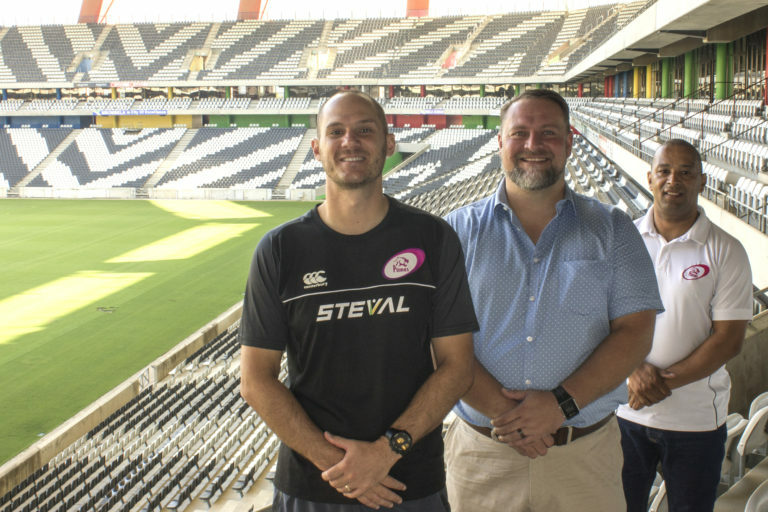 The move again illustrates that the Steval Pumas are a franchise producing a steady stream of world-class players with the potential to perform on the biggest stage. “These type of things aren’t just a stroke of luck. We are consistently producing quality players and hope to soon be seen as equal partners on the franchise level,” Burger said. 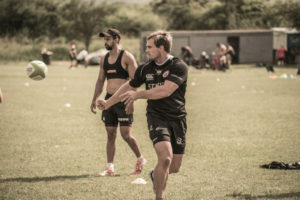 Schoeman, who has already moved down to Cape Town to join the Stormers in time for a once-off warm-up game against the South Western District Eagles this weekend, said that he is eager to prove himself. “Obviously, it is every player’s dream to play for the Springboks, and Super Rugby is the stepping stone to this. I really want to make the best of the opportunity during the prime of my career,” said Schoeman. 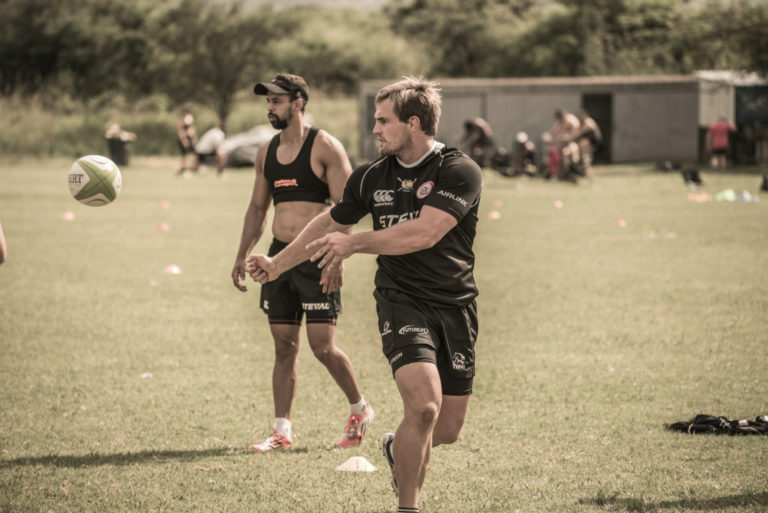 Schoeman confirmed that he is still committed to the Steval Pumas. “My time with the Pumas has been fantastic and I don’t see returning as a step back for me at all. The new coach Brent Janse van Rensburg is installing a whole new plan and culture, which I really look forward to being a part of,” he said. Nelspruit Rugby Club 1st team and Rooikatte Lydenburg Rugby Club 1st team following the final of the Lowveld 7’s tournament on Sat 11th Feb 2017 in Barberton. 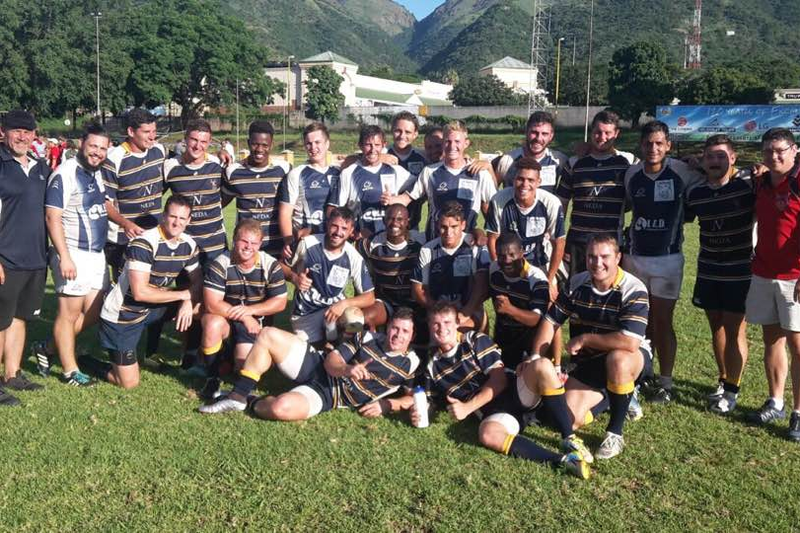 Photo: Nelspruit Rugby Club FB pageThe rugby season is starting to gain momentum across South Africa, and the Mpumalanga Rugby Union (MRU) will kick things off with the Provincial Sevens Championship at the Nelspruit Rugby Club this Saturday. After the regional tournaments last weekend, this weekend’s event will see the top four teams in the Lowveld battling it out with the top four Highveld teams for the title of provincial sevens champions. The Lowveld teams include Nelspruit 1, Nelspruit 2, Barberton Rugby Club and Rooikatte from Lydenburg, who will come up against Sasol 1, Sasol 2, Middelburg Rugby Club and Standerton Rugby Club from the Highveld. The day gets underway with a clash between Nelspruit 1 and Sasol 2 at 10:00. There will be Shield, Bowl and Plate brackets, before the Cup Final takes place at 14:20. 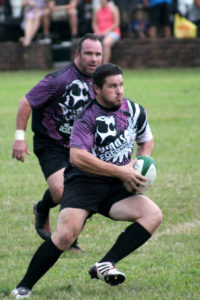 Roelof Kotze, Amateur Rugby Manager for the MRU, said the event gives players an early-season opportunity to prove themselves. “The event also allows provincial coaches to develop their plans for the year. It’s also a good lead up into the fifteens season. We are looking forward to Saturday and encourage members of the public to come and enjoy some exciting rugby action,” said Kotze. Entry for the day is R10, with food and drink on sale at the club. Die rugbyseisoen is besig om momentum te bereik regoor Suid-Afrika, en die Mpumalanga-rugbyunie (MRU) sal die seisoen afskop met die Provinsiale Sewes Kampioenskappe wat op Saterdag by die Nelspruit-rugbyklub gehou gaan word. Na afloop van die plaaslike toernooie verlede naweek, sal die naweek se geleentheid die top vier spanne in die Laeveld sien meeding teen die top vier Hoëveld spanne om die titel van provinsiale sewes-kampioene in te palm. Die Laeveld spanne sluit in Nelspruit 1, Nelspruit 2, Barbeton Rugbyklub en die Rooikatte van Lydenburg, wat teen Sasol 1, Sasol 2, Middelburg Rugbyklub en Standerton Rugbyklub van die Hoëveld te staan sal kom. Die dag sal afskop met ‘n botsing tussen Nelspruit 1 en Sasol 2 om 10:00. Daar sal Shield, Bowl en Plate brackets wees, voor die eindstryd om 14:20 plaasvind. 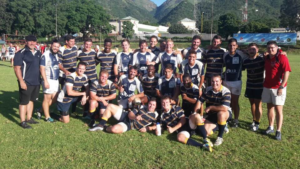 Amateur Rugby Bestuurder vir die MRU, Roelof Kotze, het gesê die dag gee spelers ‘n vroeë-seisoen geleentheid om hulself te bewys. “Die geleentheid laat ook provinsiale afrigters toe om hul planne vir die jaar te ontwikkel. Dit is ook ‘n goeie aanloop tot die vyftiens-seisoen. Ons uit na Saterdag en ons moedig lede van die publiek aan om te kom kyk en opwindende rugby aksie geniet,” het Kotzé gesê. Toegang vir die dag is R10, met kos en drank wat te koop sal wees by die klub. Photo: Great excitement in the Steval Pumas camp with the inclusion of the team in the Premier Currie Cup Division 2017. Brent Janse Van Rensburg (Head Coach), Pieter Burger (CEO), Marius Van Rensburg (Operational Manager)The Steval Pumas have cemented their reputation as one of the top rugby franchises in South Africa, with their inclusion in the new Currie Cup Premier Division format announced by SA Rugby last Friday. The Currie Cup is returning to a more intense, strength-versus-strength format this year following a decision of the SA Rugby Special General Council in Friday. The Premier Division is contracting from nine to seven teams, including the top six sides from last season, and the Steval Pumas, who had the best record of the remaining teams over the past five years. Mpumalanga Rugby Union CEO Pieter Burger said that the team is humbled by the opportunity to once again participate in one of the oldest and most prestigious rugby competitions in the world. “There’s been a huge amount of improvement over the past several years and we are grateful to have received recognition for that. We’ve never wanted to be seen as a team that’s just kept in a competition for good graces, that’s never part of our dreams and aspirations. We want to consistently drive ourselves to be better, beat some of the bigger franchises and continually grow,” said Burger. Burger added that the much-anticipated decision was healthy for the psychology of players, staff, supporters and sponsors. “There has been some uncertainty about whether we would be in the Premier Division so this decision is extremely important from a playing, coaching and commercial perspective. A lot of players are attracted to the Pumas because we’ve become known as a very good union which advances careers. This decision therefore continues that attraction,” Burger said. The Currie Cup Premier Division will kick off on 12 August. First up for the Steval Pumas is the SuperSport Rugby Challenge, a revamped version of the Vodacom Cup incorporating the north, south and central divisions. The exciting new format will include televised Sunday rugby festivals at community stadiums and clubs, as well as triple headers and regional championships. 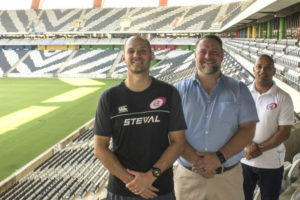 Before the competition kicks off at the end of April, the Steval Pumas will prepare with warm-up matches against the Lions, Western Province and the Sharks. Thousands of rugby supporters enjoyed a fun-filled, competitive two days of rugby at the Malelane Rugby Weekend, with the Jimmy Stonehouse-coached Pumas Legends beating Ian Macintosh’s South African Legends side 28-7 during the showpiece encounter on Saturday afternoon. To kick off the 50th anniversary of Malelane Rugby Club, around 500 spectators turned up at the rugby club on Friday afternoon for the first round of matches between school and club sides. Lowveld High, Malelane Ou-Olifante, the Middelburg XV and the Malelane XV were all victors in a set of closely-fought encounters. Saturday’s action-programme attracted more than 2000 supporters, as clubs from across Mpumalanga battled it out before the big match between the two Legends sides. The match was the first time the SA Legends side played in their new J9 jerseys in honour of Joost van der Westerhuizen. A minute’s silence was observed before the start of play for the late Springbok hero. ne Steenkamp, Jaco Bouwer and Doppies le Roux. “The match was played in very good spirit and it was amazing to see the support on the day. We would like to give a big thank you to SA Legends, Mpumalanga Rugby, the Malelane Rugby Club and all the sponsors for making such a unique event for the province possible,” said coach Stonehouse, who is on holiday in the Lowveld before he returns to Japan to coach Toshiba Brave Lupus. The Malelane Rugby Club and the SA Legends also voiced their appreciation for the event’s sponsors and the various teams and supporters who made the weekend a success.